Daystar Cleaning has over 30 years’ experience in commercial window cleaning, including high interior and exterior glass. 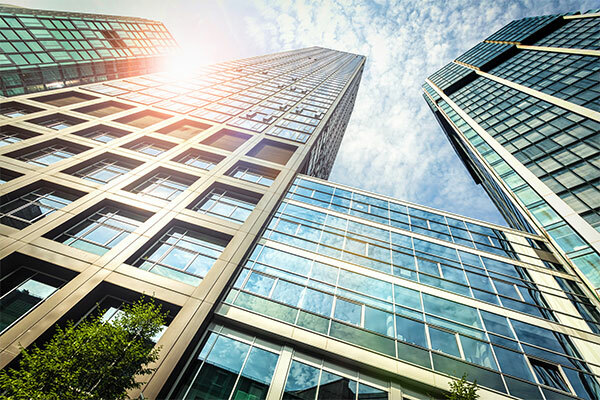 Windows are a major investment and can be a positive or negative aspect to your facility’s image. 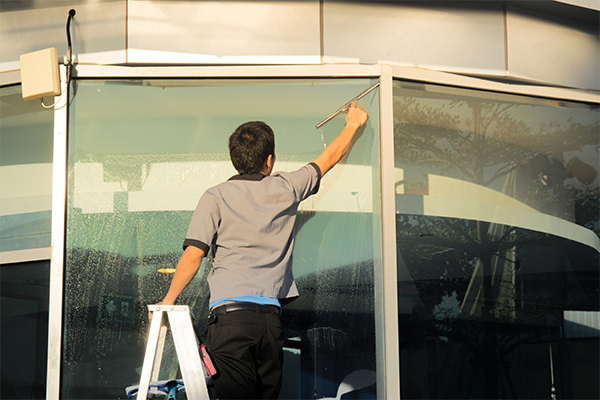 Yet, too often, businesses will risk damage to their glass by having an untrained employee clean their windows. Why would you trust your windows to just anyone? Our long-time customers appreciate our attention to detail, our prompt and courteous service, and our high-quality work. And we’re sure you will, too. We guarantee it. We’ll have your windows back to sparkling like new in no time. What’s more, you won’t need to waste valuable employee work time on this chore. All too often we see windows with scratches or tape and adhesive residue that gives a commercial property an unsightly appearance. Improper tools can scratch your glass over time, leaving it dull or hazy. Unsightly scratches can result from incorrectly removing tapes, adhesives, or residue left on your windows and glass doors. Using the most effective industry techniques, we remove old tape, adhesives and decals properly, without damaging the glass. With Florida’s salty air, the newer composite windows can easily be damaged by poor cleaning techniques to the point of replacement. But with Daystar, our trained technicians know how to clean these windows without damaging them, and carefully remove and replace all signs. Daystar can also offer a customized service schedule to best meet your window cleaning needs. Give us a call today to learn more!